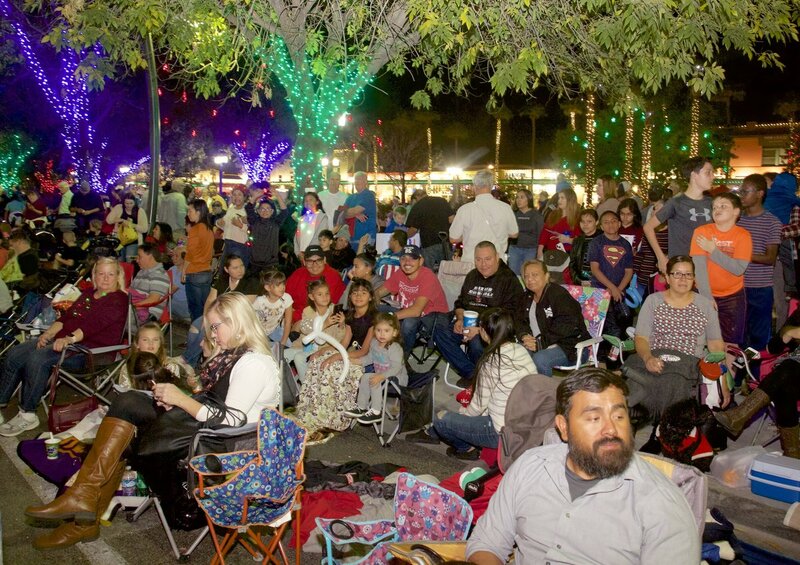 Some things are simply synonymous with the holidays—pumpkin pie, peppermint mochas, gingerbread houses, and of course, the City of Chandler’s Annual Tumbleweed Tree Lighting and Parade of Lights. 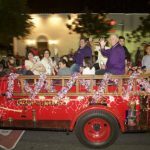 This December, Mayor Jay Tibshraeny and the Chandler City Council invite you to celebrate the holidays in Downtown Chandler. 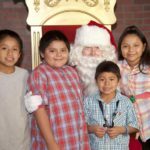 Behold the iconic Tumbleweed Tree, visit with the jolly man himself, Santa, and enjoy musical performances and a glowing pageantry of lights. 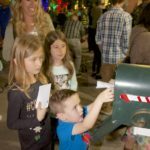 More than 12,000 people are expected to join in celebrating Chandler’s unique-to-the-season holiday tradition that dates back to 1957. 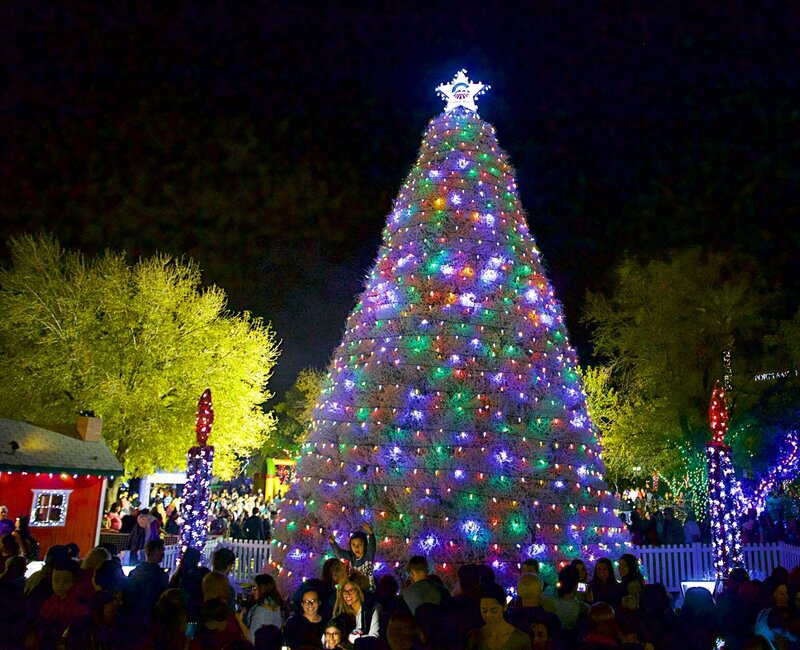 The tree will be lit for the first time on Saturday, Dec. 1, and will remain on display through Jan. 7, 2019. 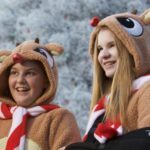 The holiday spectacular kicks off at 4:30 p.m., when thousands of revelers fill Downtown to partake in festive crafts, energizing rides and a glowing pageantry of lights. 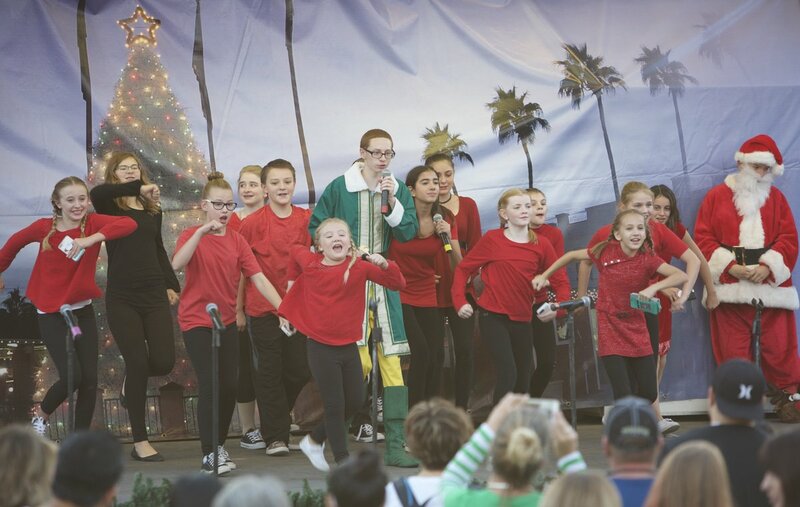 A star-studded line-up of energizing local talent provides plenty of live entertainment. 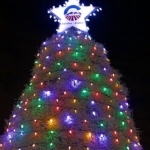 The crowning moment comes when the switch is flipped and hundreds of (energy-efficient LED) lights come alive on the celebrated Tumbleweed Tree. 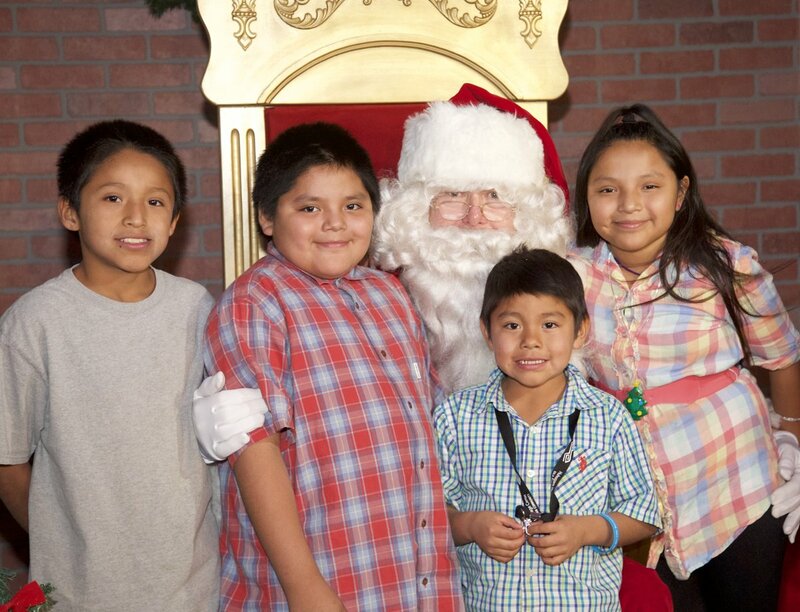 It’s an evening of merriment the whole family can enjoy. 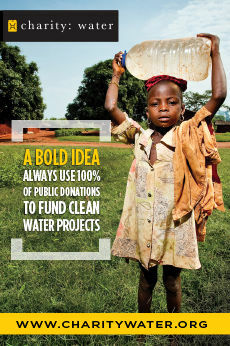 More information on these activities, plus a complete entertainment schedule, is available online at ChandlerAZ.gov/tumbleweedtree. 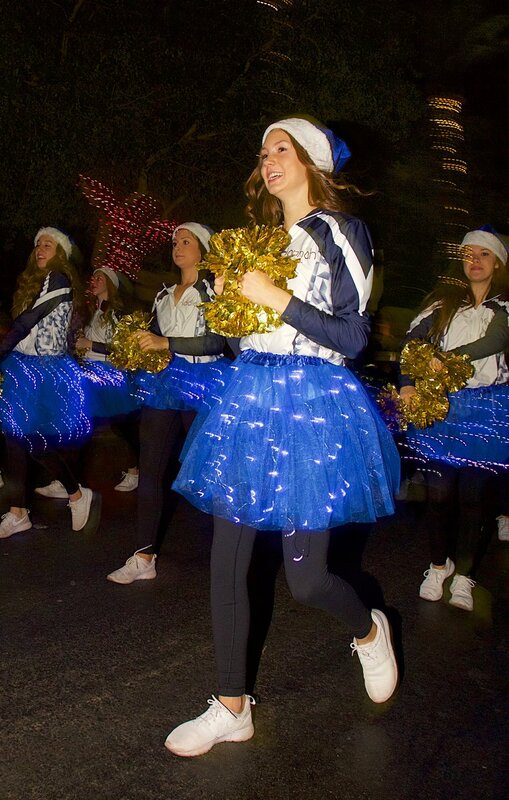 Get ready to light the night as the City debuts a new parade route. 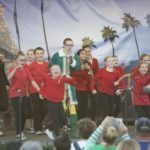 Every December brings local businesses, community organizations, families and floats together for one glowing evening in celebration of the holidays. 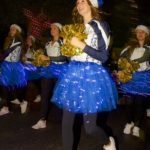 For the first time ever, Parade of Lights will extend a .75-mile stretch from Frye Road to Erie Road, giving parade-viewers the chance to marvel at even more floats featuring hundreds of thousands of lights. 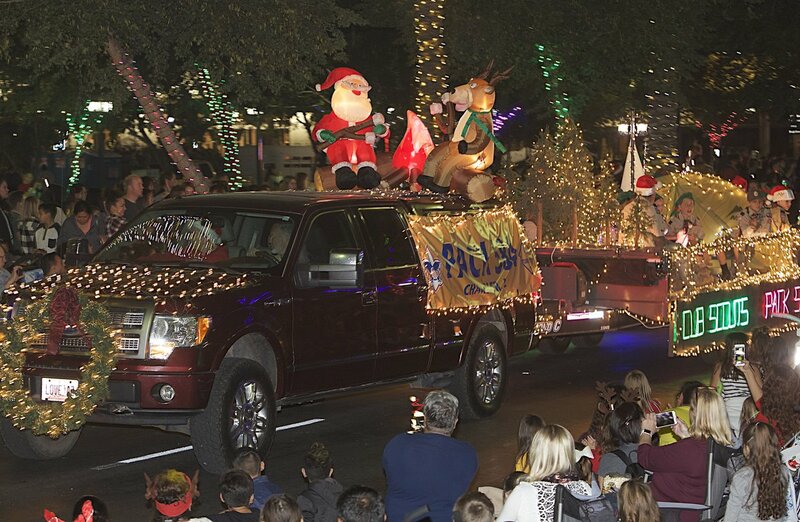 Parade newbies like EL Zaribah Shrine Transportation Unit and Chandler National Little League–Challenger Division join longtime favorites such as PAWS for Patients and Daughters of the American Revolution for the holiday spectacle that brings joy and cheer to spectators of all ages. 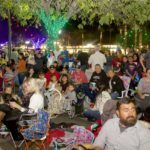 The new route also improves spectator viewing and traffic flow as it merges with the ever-changing landscape of Downtown Chandler. 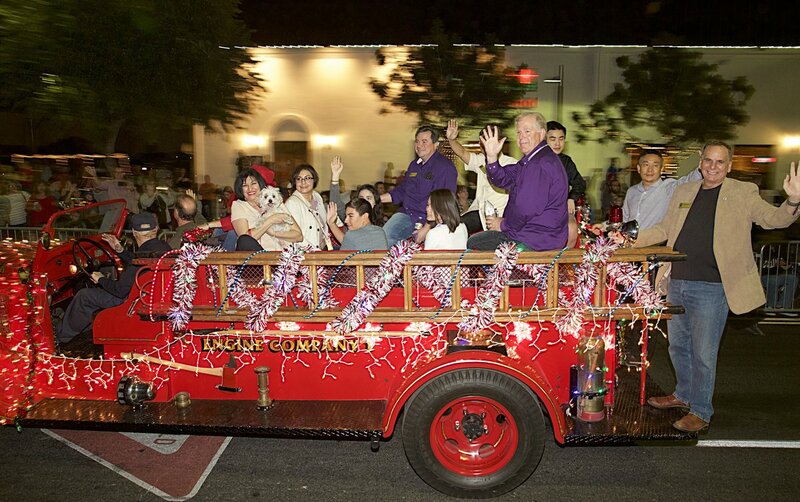 Getting to the Parade or a Downtown business is now easier than ever-before. 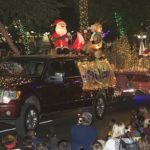 This unique Chandler tradition began in 1957, when Chandler resident Earle Barnum raised the idea of a tumbleweed tree after he saw a similar one in Indiana built out of cone-shaped chicken wire with pine boughs stuck in the holes. Many members of the community helped create the first tree in Chandler using tumbleweeds that they gathered from around town. 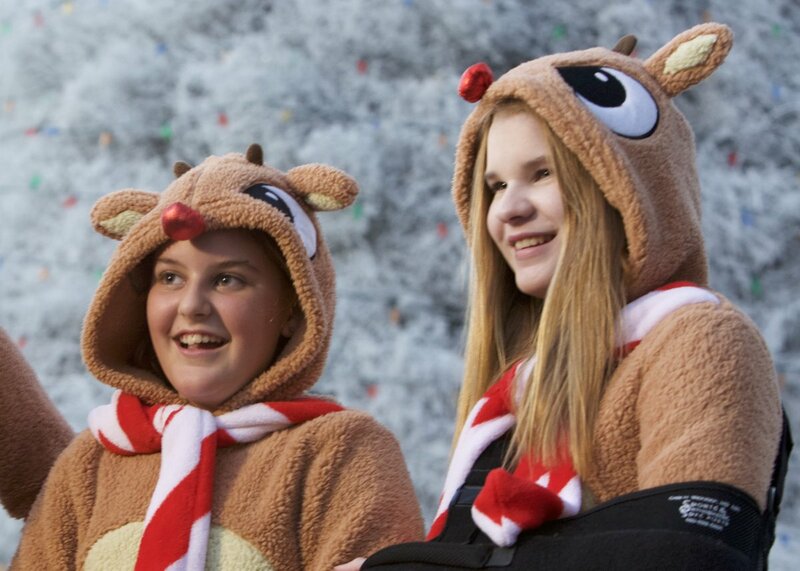 Little did these folks know that they were the first to do such a thing, and that it would continue as an annual Christmas tradition from then on. Now in its 62nd year, the Tumbleweed Tree still stands as the City’s seasonal centerpiece, reflecting the resourcefulness and uniqueness of its residents. 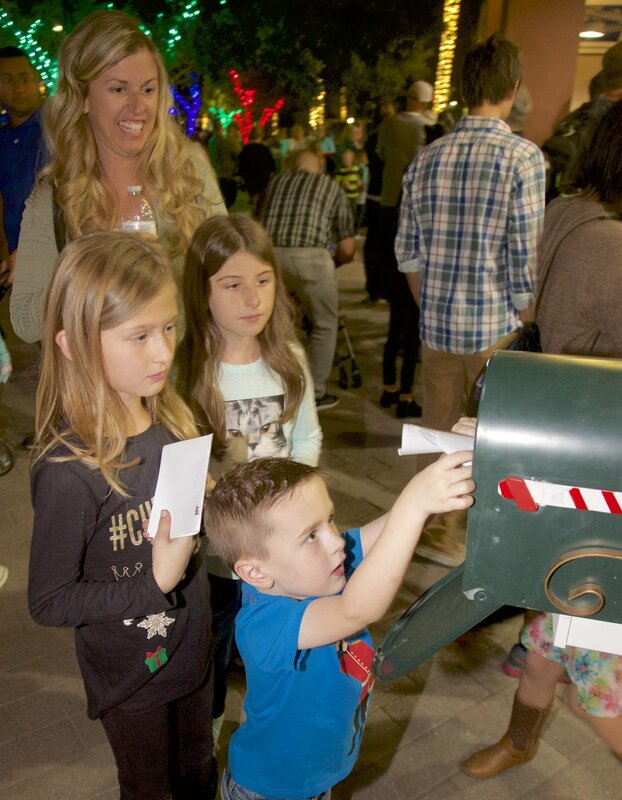 Test your knowledge and enjoy fun facts about Chandler’s most favorite Christmas tree! 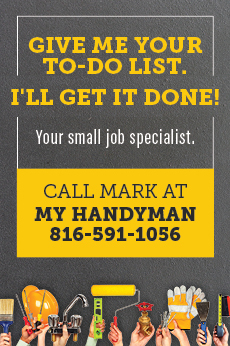 · It takes staff approximately three weeks for collecting, assembling, decorating, and removal of the Tumbleweed Tree. 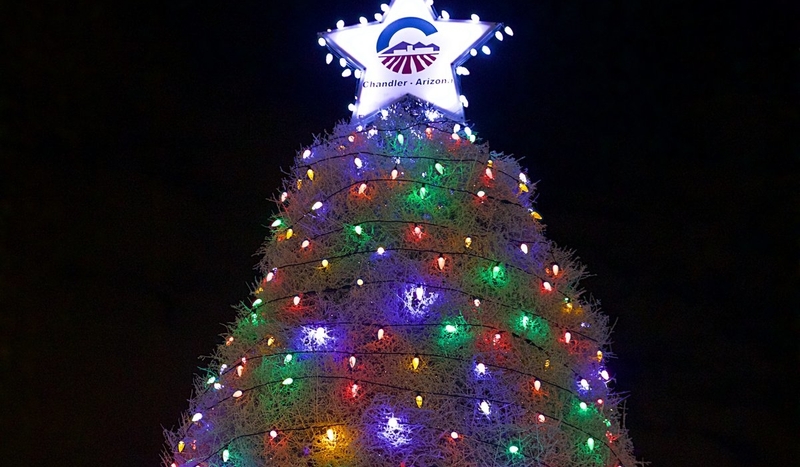 · Crews will add nearly 1,000 tumbleweeds to wire frame to sprout the Christmas tree, which stands 25 feet high in Downtown Chandler. 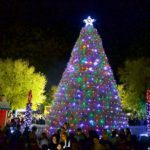 · The Tumbleweed Tree is painted with 25 gallons of white paint and covered in 20 gallons of flame retardant, then dusted in 65 pounds of glistening glitter to give it a festive look. 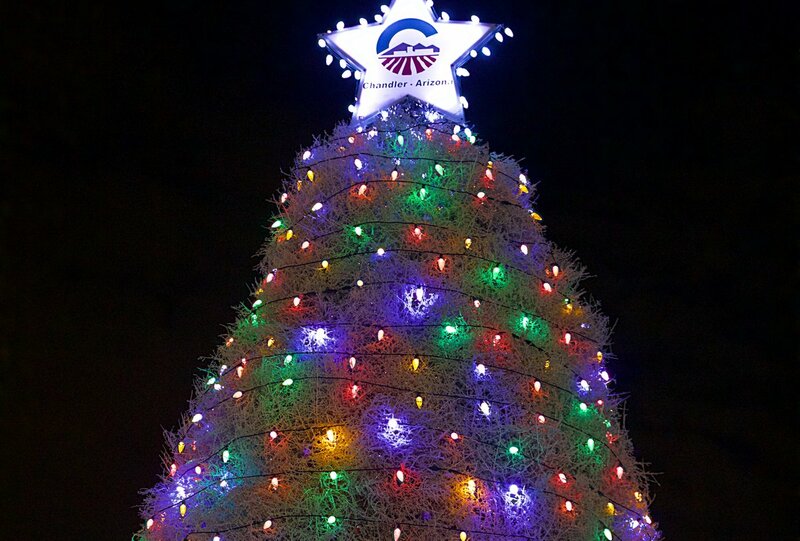 · It takes approximately 1,200 LED lights to light up the Tumbleweed Tree.